The Mississippi WheelCats are the only wheelchair basketball team in the state, so their actual games require travel to Texas, Alabama, South Carolina, and other states. 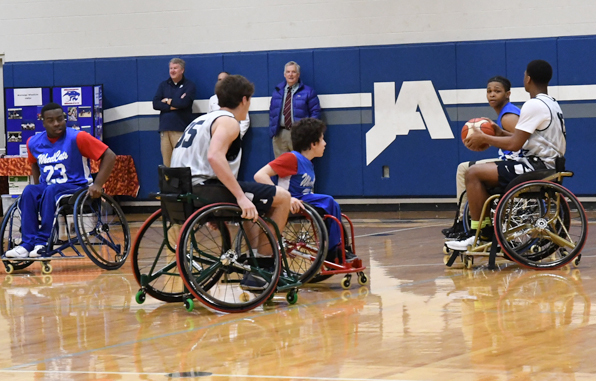 Friday, during activity period, JA hosted a game with the boys varsity basketball team, faculty, and the Mississippi WheelCats. The event was a perfect time for the WheelCats to prep for their upcoming season and a great opportunity to bring awareness of wheelchair athletics to the JA community.